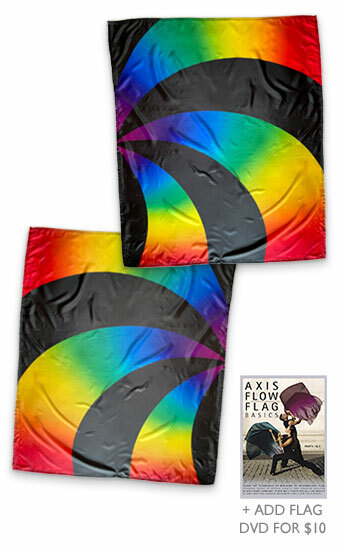 Flags are rectangles of lightweight fabric used in the art of flag swinging (also known as flagging.) Weighted cord is sewn into two adjoining edges - when swung or spun, they flare out. Many of the moves done in club swinging or with poi can be done with flags, with the advantage of the larger visual impact of the flag. Available in poly china silk. Christina's graceful living room flag spinning sesh with her cats.